THE HAGUE (AFP) - After a 15-month probe, Dutch-led international investigators on Tuesday (Oct 13) will release a final report into last year's crash of Malaysia Airlines flight MH17. Will we ever know who brought down MH17? Here are some key questions. 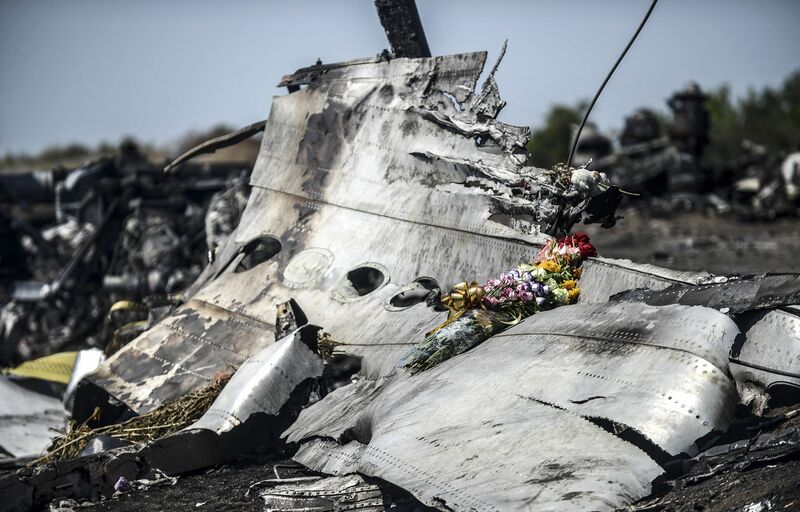 The Malaysia Airlines jetliner broke up on a routine flight between Amsterdam and Kuala Lumpur over eastern Ukraine on July 17, 2014, as heavy fighting raged between Kiev's army and pro-Russian separatists. All 298 passengers and crew died when the Boeing 777 flying at some 33,000 ft was blown from the sky. A preliminary report released in September 2014 said the aircraft was hit by numerous "high-energy objects", appearing to back claims that it was struck by a missile. In August, Dutch criminal investigators said they had found fragments "probably" from a Russian-made surface-to-air BUK missile at the crash site, but indicated it was not yet clear whether the apparent missile pieces were related to the attack. Who has a BUK missile system? Both Russian and Ukranian armies possess the BUK missile system, according to Jane's Defence Weekly editor Peter Felstead. Originally developed in the former Soviet Union, the BUK (Russian for "beech tree") is a self-propelled, medium-range surface-to-air missile capable of hitting targets as far away as 50km and as high as 25km in altitude. 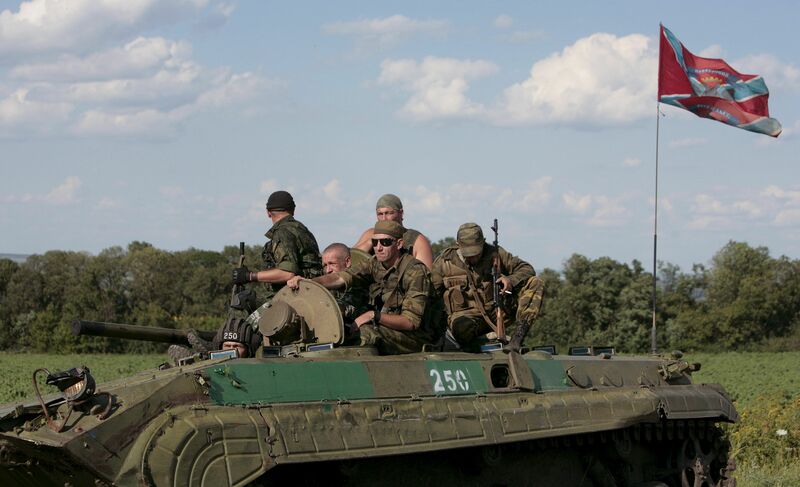 Western nations and defence analysts have blamed pro-Russian separatists in Ukraine. US intelligence agencies blamed an SA11 missile in the days after the crash - using an alternative name for the BUK. US Secretary of State John Kerry said at the time it was "pretty clear that this is a system that was transferred from Russia in the hands of separatists". Mr Felstead of Jane's Defence Weekly told AFP the shooting was "a mistake" as the BUK's operators "thought they had targeted a military aircraft in the area and it turned out to be an airliner". The missile's Russian state-controlled manufacturer Almaz-Antey said in June that based on photos of the wreckage, a BUK was likely to have been used to bring down MH17. But it said it was of the BUK-M1 variety, which had not been produced in Russia since 1999 but was in the arsenal of the Ukranian armed forces. Russia's Defence Ministry has denied any involvement and like Almaz-Antey, pointed the finger at either a Ukrainian missile system, or another jet. However, citizen journalist website Bellingcat, which has investigated the crash using social networks and open source material, claims that the alleged BUK missile launcher was originally part of a convoy which had crossed into Ukraine in June from the southern Russian city of Kursk. The final report is likely to make recommendations about commercial flights over conflict zones. Relatives of MH17's victims say they hope the report's release will keep up the pressure and lead to the eventual arrest and trial of the culprits. Dutch prosecutors, carrying out a separate criminal investigation, have identified many "persons of interest" in their probe but no definite suspects. Mr Felstead believes it "unlikely that the culprits will ever be found and brought to justice" but has said the criminal probe must continue as it would "make a point". Russia has vetoed a bid at the United Nations Security Council to set up an international tribunal to try those behind shooting down the plane.